If you are reading this, you have a problem. I have a solution for some people and just relief for others.I list the official ways to cancel a permit and some unofficial ones. Sometimes, the bull wins, said the one-armed matador. Most of my customers have had success following the steps in this FAQ, but you're dealing with a bureaucracy. Sometimes things go awry, papers get lost. Keep copies of everything and follow up. It all depends on your circumstances. I may not give you the answer you want, but it will be the right answer. 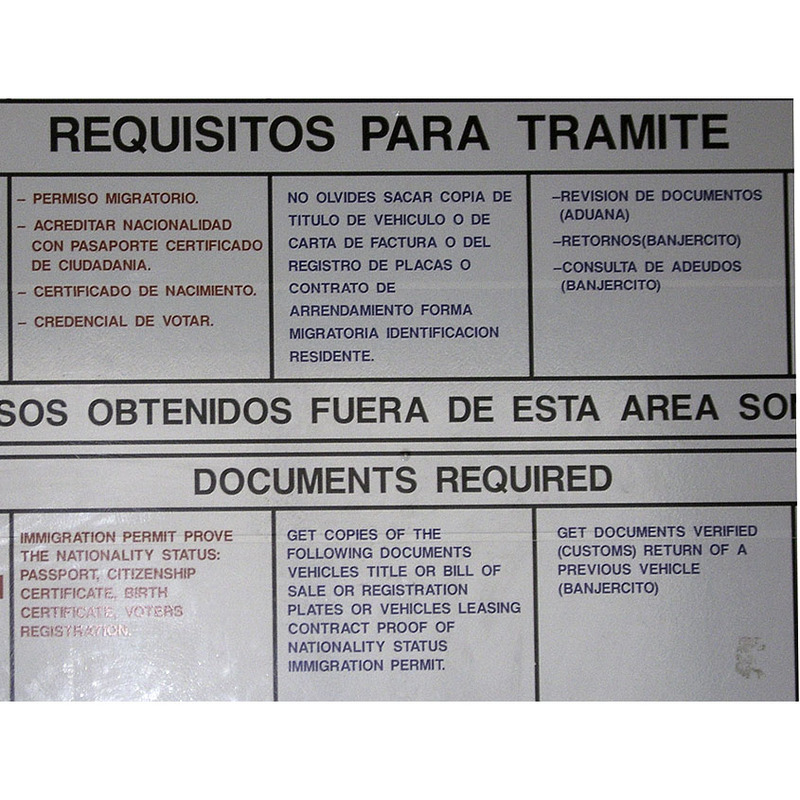 If you left Mexico without "canceling" or turning in your vehicle permit and / or your tourist permit, you can't go back until you straighten things out. I note this in my roadlogs, but so far, not one customer for this FAQ bought a roadlog from me. All is not doom and gloom. There are ways to "get right with the law." It just takes time. This FAQ is 5 ½ pages of solid info.